Ponny cares deeply about the causes of human suffering and his work is dedicated to creating conditions in which humans can flourish. Before Founding Healthcare Volunteer Uganda (HVU) in 2007, Ponny volunteered for three years with Rakai Community Based Organization (RACOBAP). To date, he still functions as the Program Director for HVU. He is a social worker with a degree in Social Sciences and specializes in Administration. Ponny’s professional history demonstrates a dedication to his community. This is exemplified by the fact that he uses his birthdays and Christmas days to reach out to vulnerable households with lots of gifts for support. He has done this since 2011. Ponny has traveled extensively throughout Africa as well as the United Kingdom and the Netherlands. Over the past three years, he has also journeyed to many locations in the United States, for the sole purpose of mobilizing support and donations for HVU. Ponny has 17 years experience in community diagnosis and sustainable solutions to development challenges such as food security, women’s empowerment, access to affordable and adequate health care, education and enterprise development. Additionally, Ponny has extensive experience developing and implementing practitioner-friendly monitoring and evaluation systems and has demonstrated success using Participatory Rural Appraisal - PRA. 1) Partnering for Positive Livelihood Program (PPLP) for two years, financed; Well-share International/USAID (while with Kassanda Cornerstone Foundation-KCF). 2) Scaling up Comprehensive, Evidence-Based, HIV Prevention through community engagement in Mubende District, for two years, financed by Civil Society Fund (while with KCF). 3) DREAMS Project, financed by CDC, through Mild May Uganda and JAWCU (while with HVU) ongoing. 4) Orphans and Other Vulnerable Children Project funded by CDC through Mild May Uganda (while with HVU) ongoing. 5) ELMA Project or the unfinished business, funded by ELMA Foundation, through Mild May Uganda (while with HVU) ongoing. 6) Child Sponsorship Program - Individual donors from the United States of America, Australia and Europe (HVU) ongoing. 7) Camp Angelina, the girls empowerment project - Individual donors from the USA, Australia and Europe (HVU) ongoing. 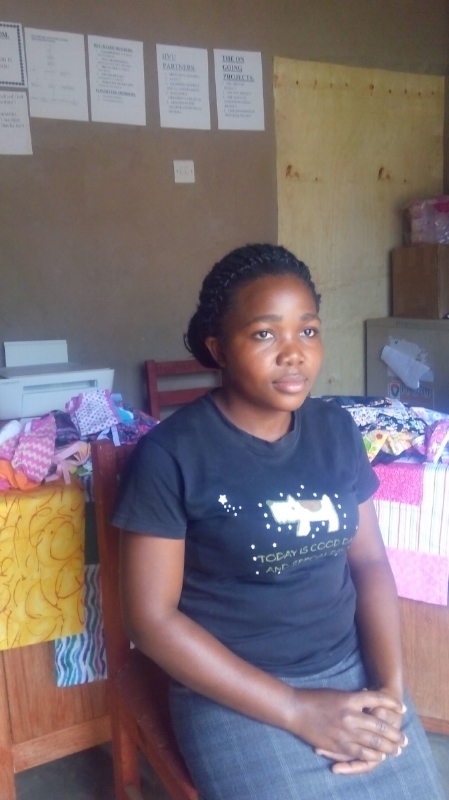 Ponny's interests include empowering women through Village Savings and Loan Association (VSLA), promoting community development and supporting organizations in Mubende District Uganda to develop sustainable community projects. Mubende, Kassanda is a community 100 kms from the capital city of Kampala that is affected by a high rate of poverty and HIV/AIDS. Ponny is driven by a desire to change the system and create opportunities for children and their mothers so they can reach their fullest potential. John Kasiiba joined Healthcare Volunteer Uganda (HVU) in 2016 as Project Director. His main interest and research is in health education gender and governance and media. Before joining HVU, he served in different capacities both in civil society organization and local government, advocating for gender and HIV/AIDS mainstreaming. From 2005 - 2011 John served as a senior civil servant in local government. From 2011 - 2013 he was appointed as Social Worker, Administrator and Communications Officer, for Rakai District people living with HIV/AIDS network. 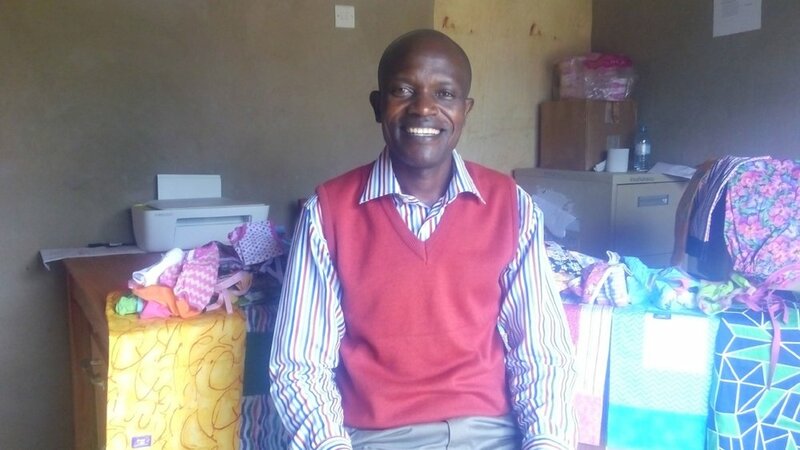 He used these positions to implement many projects with World Vision in the field of HIV prevention and educational support to orphans and other vulnerable children in the hard to reach areas of central Uganda. Mr. Kasiiba played a key role in fighting corruption both in public and private organizations when he served as the Chairperson of the Public Accounts Committee for Rakai District in local government from 2012-2015. He is a celebrated champion of children's rights since his own school days. John holds a Bachelors Degree in Communication Skills, as well as a Post Graduate Diploma in Education, and Project Planning and Management. He also holds a Certificate in Law as well as a Certificate in Public Administration and Management. Justine Nakanjako is a Social Worker and volunteer at Healthcare Volunteer Uganda (HVU). As a Social Worker, she has a great interest in counseling and supporting the needy. She also works as the Monitoring and Evaluation Officer (M&E) of the organization. Justine acquired a Bachelor's Degree in Social Work and Social Administration in 2014 as well as a Certificate in Public Administration and Management (PAM) in 2011. After finishing school, Justine worked with the National Social Information Security (NSIS) project as an enrollment officer in the 2014 registration for the National Identity Cards. Later, she worked as an enumerator in the National Census of August 27, 2014 being employed by the Uganda Bureau of Statistics (UBOS). Justine then joined the Children and Wives of Disabled Soldiers Association (CAWODISA) and served as Field Officer and Data Entrant for the group. While at CAWODISA, she worked as a volunteer in UWEZO at the twaweza assessment conducted in 2015, to assess children's aptitude in Mathematics and English. Justine is very interested in agriculture and has managed to put up a large nursery bed of coffee seedlings. She is one of the most celebrated nursery bed operators in Mubende District. This operation has made her famous in the field of poverty reduction among the communities in Mubende District Uganda.